Theology, liturgy, politics, and more are not inherently wrong, of course, and can even be very good, even vitally important—but none of these is the one thing we need more than anything else. Sounds simplistic and naïve, I know. Sounds idealistic, and darn near impossible. Sounds suspiciously like some liberal agenda, or some trendy “spiritual-but-not-religious” kick. But I say, “Love is all we need,” because I believe Scripture points us to this. I believe Jesus points us to this. That was part two. And now I say, “Love is all we need,” because I believe all other divine commands and human virtues—including holiness and truth-speaking—are subsumed under love, governed by love, even defined by love. 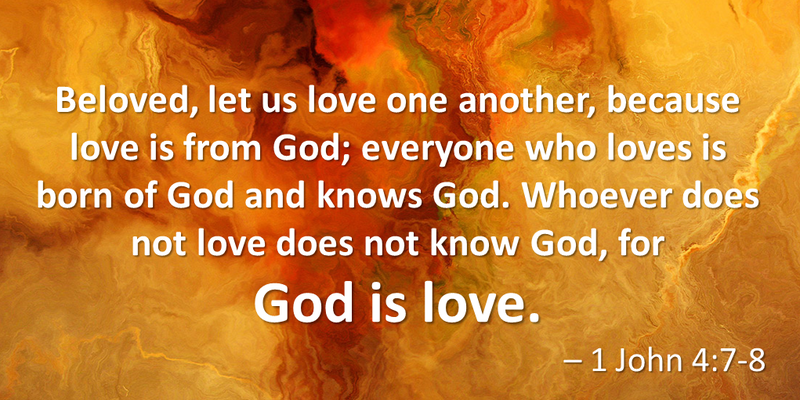 Think back to the way the Bible, and particularly the New Testament, speaks about love. Jesus and Paul agree that the whole point of Scripture is love: every command, every promise, every story, every poem in the Bible hangs on the hook of love, loving God and loving others (Matt 22:35-40; Rom 13:8-10). John concurs, affirming that this love is the defining characteristic of the true life of God, truly knowing God, truly being a disciple of Jesus (1 John 3:11-20; 4:7-21; John 13:35). 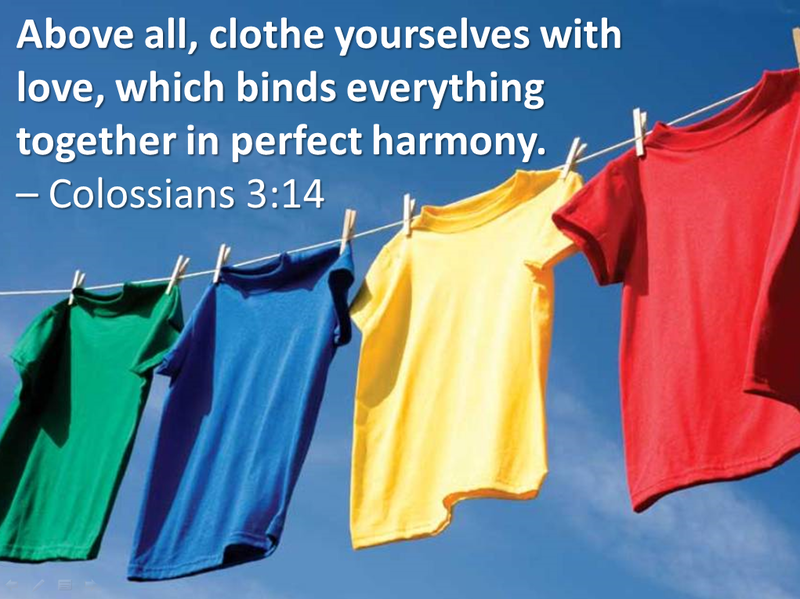 Paul talks about love as the virtue that “binds together” all other virtues, including the virtues of moral holiness and truthful speech (Col 3:5-14). Love for others, Paul says, is more important than seeking true knowledge, or striving for sinless purity, or having great faith. There are three things that “abide,” he stresses: “faith, hope, and love—but the greatest of these is love” (1 Cor 12:31-13:13). Underlying these and similar biblical texts is the notion that every ideal humans are to strive for, every virtue Christians are to cultivate, is subsumed under love, governed by love, even defined by love. How does this work? A few musings—and be prepared, this is the most abstract and “theological” of all these posts on love. Love incorporates all the other Christian virtues. Again, I’m not talking about a sentimental affection or a clinical self-sacrifice, a benign tolerance or an intense intimacy. I’m talking about the love that God shows us in Jesus, the love that freely gives oneself for the good of the other, to share together in the flourishing life of God. Any human ideal or Christian virtue you can conceive of is subsumed under this love. You can trust someone without loving them, but you can’t love in this way without trust. You can hope without love, but this Jesus-love includes hope. It’s possible to have justice without love, but not love without justice. Peace, patience, courage, faithfulness, self-control, joy, and more—they’re all the same, woven into the fabric of a Christ-like love. Love defines and governs all the other Christian virtues. If one ever seeks a justice that is not loving toward all involved, then one has not found true justice. If one strives for a faithfulness that is not compassionate or charitable toward others, then one has not found true faithfulness. If we ever feel a tension between holiness and love, or between truth and love, or between any other ideal or virtue and love, we must choose love—because it is in love that we will realize the potential of all other virtues and ideals. Love precedes and supersedes moral holiness, being “separate from sin.” Before sin was in the world, before moral holiness was even a thing, there was love. After sin and death are dealt their final blow, when moral holiness is no longer a thing, there will still be love. This is why holiness—in the sense of moral holiness, separation from sin—cannot be the central, most essential attribute of God. God is eternally holy, in the sense of being utterly distinct from all else, wholly other. But moral holiness is not an eternal attribute of God, unless we wish to say sin and evil are eternal. God’s eternal holiness, God’s distinctness, God’s otherness, is shown first and foremost and always in love. It is, in fact, because God is distinct and other that God can love: love requires a distinction in personhood, an I and a thou, a self and an other, before it can give the self for the other, before it can love the other as it loves itself. Classic Christian theology understands God to have been loving in this way for an eternity as three persons in one God, and God’s love for humanity and all creation is simply an extension of this eternal love within the Trinity. God is love. This is the essential nature of God’s character, God’s person. And so it is the defining feature of God’s ultimate self-revelation, Jesus Christ. And so it is to be the essential nature and defining feature of those created in God’s image, those being re-created in Christ’s image, God’s new humanity. Just as God’s holiness is manifest first and foremost and always in love, so it is with the holiness God calls Christians to. Our holiness, our distinctiveness, is seen in our love. Love fulfils truth; it completes it. Love puts flesh on truth. It is truth put into proper practice. By itself, truth—in the sense of “correct knowledge about reality”—has no virtue. It is neither inherently good nor bad. Truth only becomes virtuous, it only becomes good, when it is used in good ways for good ends. This doesn’t mean that truth has no value. It is valuable and necessary, even in relation to love. Love should be guided by a right perception of reality, as best as we can discern that—recognizing that our knowledge of the truth is always incomplete (1 Cor 13:9-12). But, while love without knowledge can still be virtuous, knowledge without love never is: it is as a resounding gong or clanging cymbal, it is as nothing at all (1 Cor 13:1-3). Such knowledge risks simply puffing us up in pride, while love—even ignorant love—always builds up others (1 Cor 8:1-3). These ideas are behind the most significant dimension of a Christian understanding of “truth,” the idea that truth is not just about “correct knowledge of reality,” but that truth is ultimately about a Person, a Person who shows us a certain Way, a Way that leads to Life. Jesus is this Truth, and his Way is love, and this Jesus-love leads to Life (John 14:6). In all this we’re circling around something very profound, and crucially important: love is at the heart of the gospel, and so at the centre of Christian theology and ethics. It’s love all the way through, no matter how you slice it. It’s love all the way down, from top to bottom. It’s love from beginning to end and everywhere in between. Up next, some concluding reflections on putting this love into practice.